While conducting a search for local goods and services, 78% of mobile users discovered a business that they previously didn't know existed. 54% will look for information on a business elsewhere if it can’t be found on the mobile website. 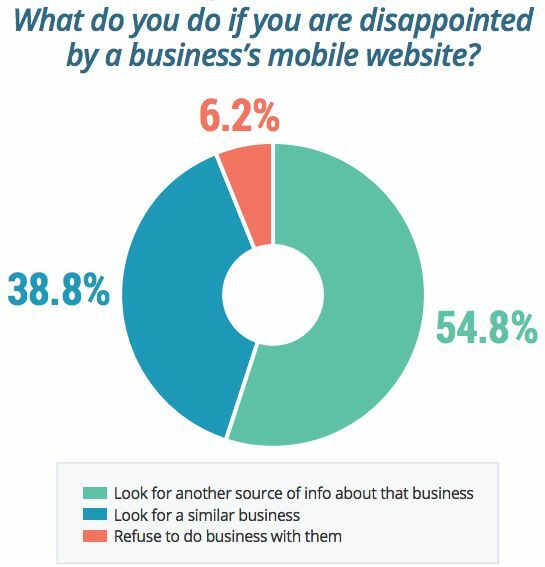 However, 39% will look for another business, and 6% will refuse to do business with those who have bad mobile websites. 46% of are annoyed when they can’t find business hours on a website, and 42% need to see a phone number or address displayed prominently. 88% want to see prominently displayed business hours, 85% want to see the phone number, and 82% need addresses and driving directions. Businesses can lose nearly half of their potential customers without a well-designed, mobile-responsive website. 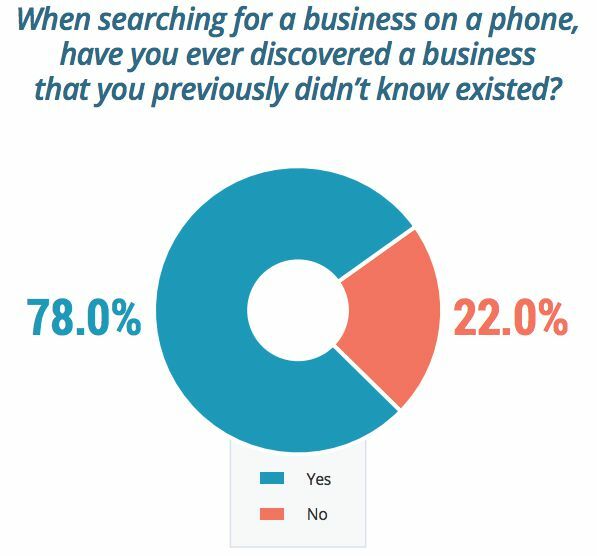 While searching on a mobile device, 78% of respondents discovered a business that they previously didn't know existed. This says so much about the importance of a mobile website and SEO. Every little thing that a business does to get found in local search has the potential to bring in new customers, and as the mobile search statistics show, that includes a mobile website that meets customers' expectations. What happens after people find a mobile website depends a lot on what's on that mobile website. Customers' expectations for mobile websites are high! And keep in mind that Google's expectations for mobile websites are even higher! "Where is that elsewhere? Another source that has the wrong business hours, the old address, a long-ago disconnected phone number? 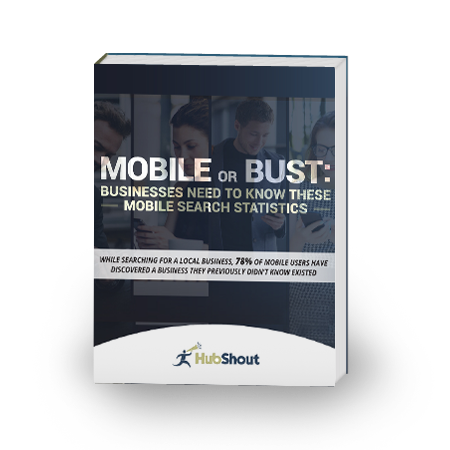 Look at these mobile search statistics that show that 88% of mobile users want to see prominently displayed business hours and 85% want to see the prominently displayed phone number. What do you think a potential customer will do if they're disappointed in your mobile site then go elsewhere to find information that's wrong?" "While people who were interested in your business search elsewhere, there's a good chance, an excellent chance really, that your potential customer will come across a competitor's website or some other source that sends them to a competitor. Once they've found your competitor who has the desired information right there on the mobile optimized website, you've lost the customer forever. " So tell your clients, that 54% number reported in the mobile search statistics should not make them feel better about having a mobile website that disappoints. Many of the 54% will search for more information, find a competitor and do business with a competitor. They've already lost about half of their potential customers, according to the mobile search statistics--that's 38.8% lost to a competitor and 6.2% who won't have anything to do with a business that can't be bothered to provide a decent mobile website. Some of that 54% will be lost too. That one statistic alone should convince any client that a mobile website with the information a customer would want is a necessity. Nothing less will do. Other mobile search statistics show exactly what it is that the customers want to see. More than anything, customers want a mobile optimized site with Business Hours, Phone Number, Address and Directions. Before moving on to the other features, get those in place. Other features may be less important, but can influence a consumer's decision on which business to visit. Download the eBook to see the mobile website statistics that reveal the other mobile website information that is important to consumers. The last thing any business owner wants to do is annoy customers. Mobile search statistics make it quite clear that if the business hours aren't easily found, if the customer has to spend any energy looking for that basic information, he or she will be annoyed and unlikely to want to spend any more time on dealing with that business. That's not all though! There are plenty of other ways a mobile website can annoy customers. So there you have it, the things that annoy people. When you're in the process of making a website mobile friendly, don't forget to give customers the information they want and update it as things change. Sure, people watch YouTube videos, check social media, send texts, etc., on their mobile phones but, quite often, they're searching for local businesses. 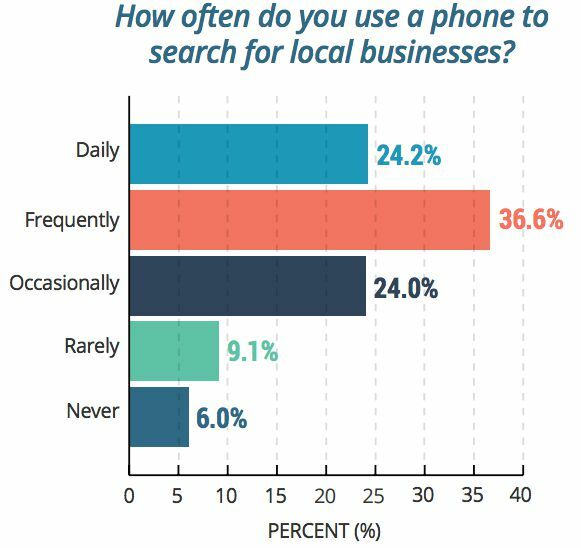 About 94% of respondents to our mobile search statistics survey report that they have used their phone to search for a local business; 36.6% do so frequently and 24.2% daily. Every website designer, SEO reseller and digital marketing professional can use these mobile website statistics to push their clients to mobile-optimize their websites. But more than that, these stats will help business owners understand that it's not just about having a website that fits on the small screen. Types of businesses people search for on mobile devices. What information they want to see on a mobile website. The conditions that would make them leave a mobile website. The apps people use when searching for local businesses.